The Pedal Portugal day rides are split into five regions – listed north to south (see below). Click on each region for lists of rides in that area. Individual ride pages each include an overview, a summary of distance & difficulty, and notes on local facilities (shops, cafes, accommodation etc.). Plus a detailed description and links to maps for each ride. The rides listed are predominantly road routes for touring cyclists. However, there is also a growing number of mountain bike centres in Portugal – locations offering a number of marked trails of different grades. For a map and more information (although only in Portugal) see the Centros de BTT site. If you try out any of our rides please let us know what you think. Or if you know a good ride then please send us the details so we can share it with other riders. As well as the regional lists, there’s also a separate page giving details of dedicated cycle paths – Ecopistas & Ciclovias – where these exist. There are plenty of bike path projects on the drawing board but sadly very few medium or long-distance routes actually exist. Northern Portugal: From Viana do Castelo to Braganca in the north and to Porto and the Duoro Valley in the south. The Beiras: Including the Beira Alta (High) and Baixo (Low), this area covers the coast between Porto and Figueira da Foz, Coimbra, the mountains of the Serra d’Estrella and the border region around Guarda. 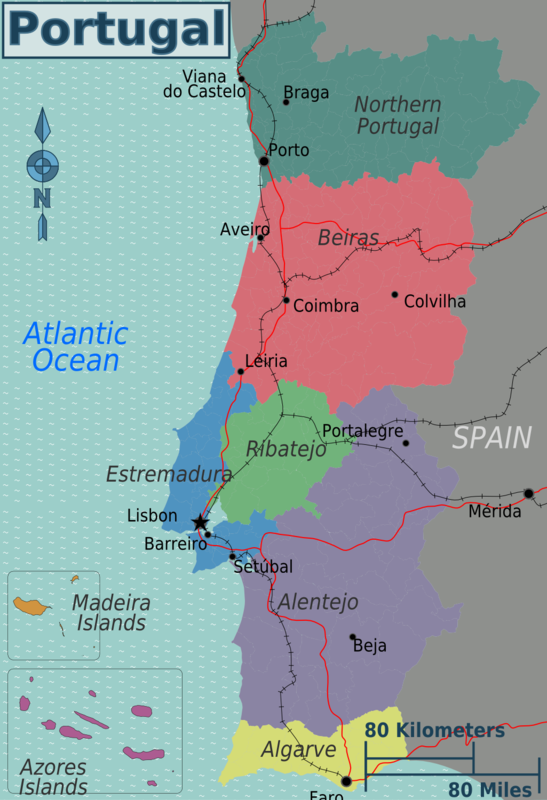 Lisbon & Central: Including the provinces of Estremadura and Ribatejo. This area also covers the coast between Setubal (to the south of Lisbon) and Figueira da Foz. The Alentejo: Portugal’s largest region, covering a large area to the south and east of Lisbon. Main towns of interest include Beja, Evora and Portalegre. For the Wikipedia entry, click here. For the Lonely Planet write-up, click here. The Algarve: The far south of Portugal, stretching from the Spanish border to the Atlantic. Avoid the bigger tourist areas and there’s some beautiful rides to be had. An excellent winter cycling destination.